Creative light bulb idea icon - concept vector graphic. this illustration can be used for poster , flyer cover , brochure , business idea , abstract background. Vector light bulb icon on white, idea concept. 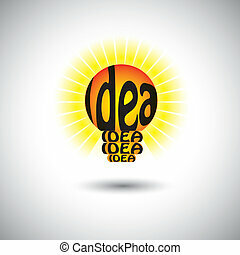 concept vector icon of idea light bulb in simple design.